Product categories of Ball Mill, we are specialized manufacturers from China, Ball Mill, Small Ball Mill suppliers/factory, wholesale high-quality products of Dry Ball Mill R & D and manufacturing, we have the perfect after-sales service and technical support. Look forward to your cooperation! Ball Mill is one of the most important Grinding Equipment to grind the crushed materials, which is widely used in the manufacture industries, such as cement, silicate, new building material, refractory material, fertilizer, ferrous metal, nonferrous metal and glass ceramics. 5. Cylinder is rolled and welded with Q235B steel plate. 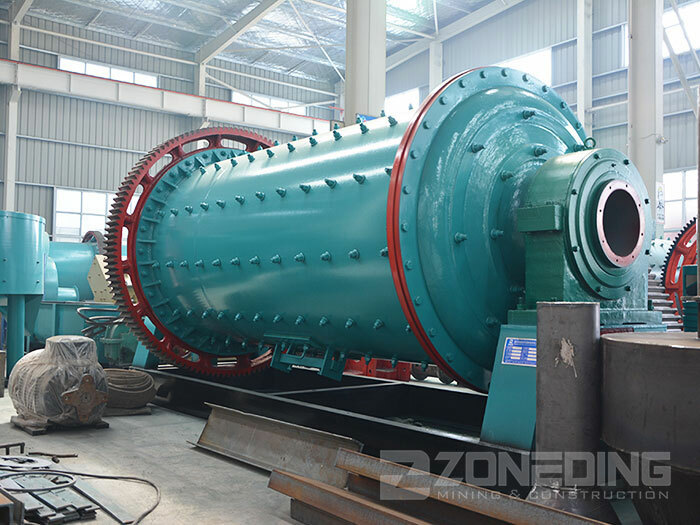 (the steel thickness is generally 1/100 of the cylinder diameter, for example ball mill of Φ1500, the steel plate thickness is 16 mm), the material of inlet and outlet hollow shaft is ZG35. 6. The hollow axis adopts the cast steel and the lining can replace, the rotating big gear processes in the way of casting rolling gear. The barrel body is wearable well and bears wearable scaleboard. This machine run steadily and works reliably.